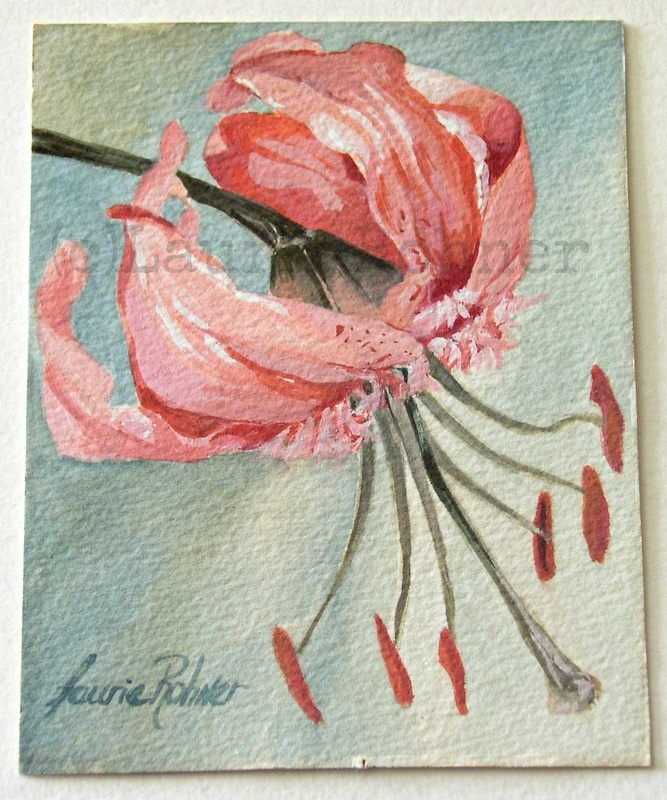 Pink Lily Botanical Watercolor Garden Flower Painting Original Nature Art by Laurie Rohner. 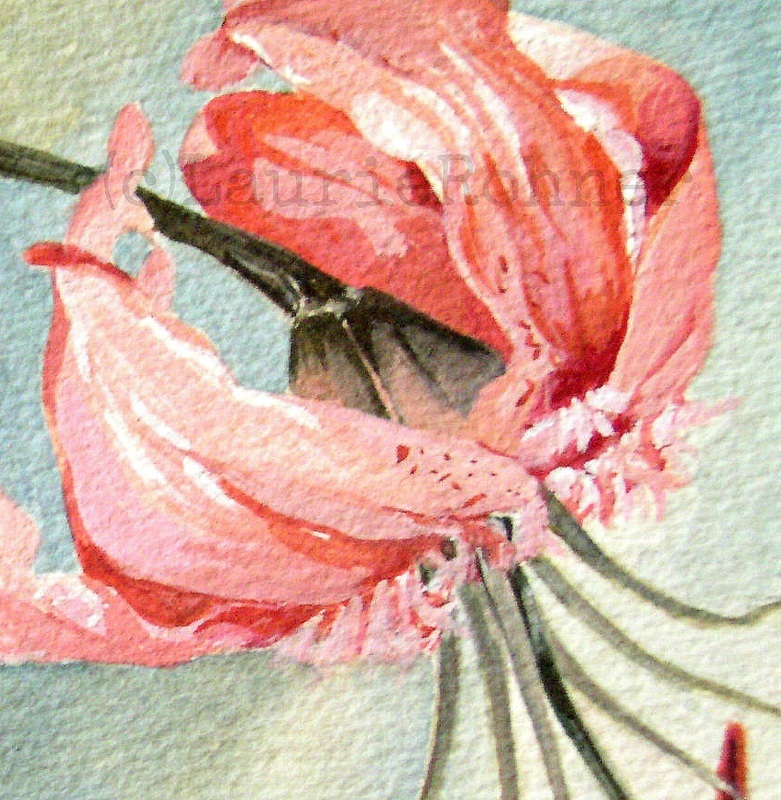 Pink Lily is an original watercolor painting that depicts a detailed botanical garden flower. 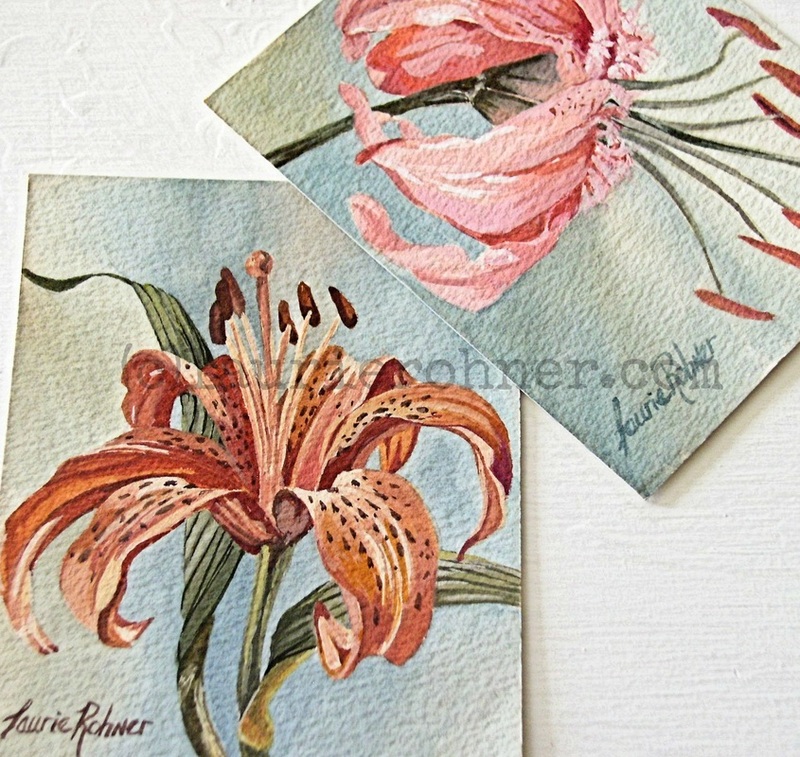 The pink tiger lily is original nature art of Laurie Rohner. Buy the two matching watercolors and save in shipping. Paper size is 5" x 4"